Admiral John "Black Jack" Geary earned his rank after being revived from cryogenic sleep to lead the Alliance to victory against the Syndicate Worlds. But his superiors question his loyalty to the regime. 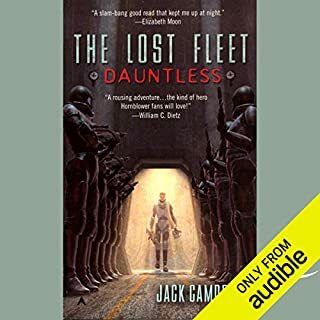 Now in command of the First Fleet, Geary is tasked with exploring the frontier beyond Syndic space, a mission he fears deliberately puts the fleet - and himself - in harm's way. An encounter with the alien enigmas confirms Geary's fears. Attacked without warning, he orders the fleet to jump star systems - only to enter the crosshairs of another hostile alien armada. Ignoring all of the First Fleet's attempts to communicate peaceful intentions, this system's species sends its ships into battle on suicide runs while it guards the exiting jump point with a fortress of incalculable power. 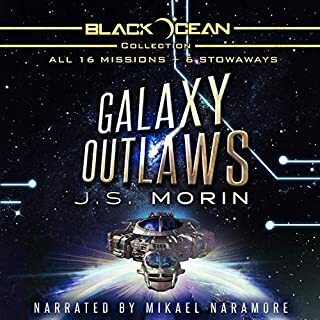 Now, with a faction of his officers determined to eliminate this new threat at any cost, Geary must figure out how to breach the enemy's defenses so the fleet can reach the jump point without massive casualties - even though the enigmas could be waiting on the other side. Here we have another successful outing by Mr. Hemry. I had mixed feelings about the end of Dreadnaught, and wondered just what might become of the Alliance Fleet after the end of the war. However, I needn't have worried, as the author has put our heroes on a journey that brings them in contact with truly alien species, while ratcheting up the tension over exactly what is going on back home. This latest entry had quite a few surprises, including some genuinely laugh out loud moments, and a few touching exchanges, especially as relates to the personal burdens of service, resentments that build up between those who serve and those back home, and the uncertainties that befall a society upon the sudden onset of peace. And space battles, there are space battles, wonderfully well thought out spectacles that demonstrate the author's singular blend of imagination and methodical construction, which he hints at in the introduction. I can't wait for the next book. Those who have followed the adventure since Dauntless can look forward to a treat. And those who have yet to start have another reason to pick up the series. The lost fleet has found another winner. The Blackjack Geary storyline continues with this latest book in the series, following the fleet past the extreme boundaries of Syndic Space and into the unknown. All in all, great story, great characters, brilliant conflict, and intense pace. The performance doesn't lack one bit. Buy this series if you need a new escape. Another excellent adventure with Black Jack! 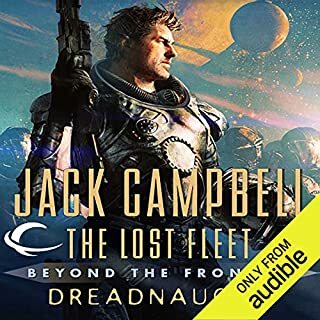 Where does Invincible: The Lost Fleet: Beyond the Frontier, Book 2 rank among all the audiobooks you’ve listened to so far? What was one of the most memorable moments of Invincible: The Lost Fleet: Beyond the Frontier, Book 2? Black Jack has got his mojo back! Loved the book. Action from the start to the end. Can't wait for the next book. I have very much enjoyed the first two books of "The Lost Fleet: Beyond the Frontier" series. 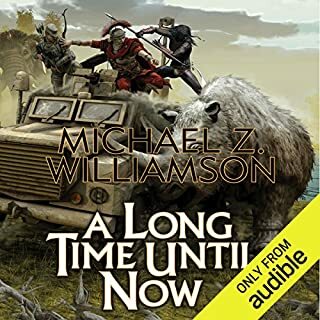 This second installment does a solid job of moving the plot forward, while expanding the possibilities of what can be addressed in future installments. I find myself very engaged with the story, thinking through plot elements while not reading, the best sign to me that I'm truly enjoying the book. I've also enjoyed Christian Rummel's talents in giving unique voices to a broad range of characters. It enhances the listening experience and makes the characters more distinct and personable. Congratulations on an excellent performance. 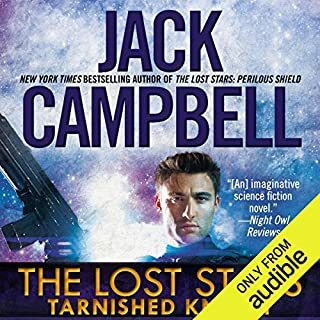 I have been itching for the release of the latest in the Lost Fleet. Invincible delivered all that I have come to expect from Geary and the Lost Fleet story. Military Science Fiction with Space Battles delivered with excitement. I had no idea how Geary was going to get out of the bind the fleet was in. Now set up for the next book I will be waiting eagerly. I'd recommend anyone that enjoyed the original Honor Harrington before it was mostly covered in the political intrigue would love the Lost Fleet series. Don't start with this book. Start with The Lost Fleet: Dauntless. The only negative I can think to say about Invincible is I enjoyed it so much I am really wishing it wasn't over. So waiting for the next book is going to be long. I nice book, that continues the story of Black Jack. Author has opened a lot of new plots and possibilities for the continuation of the story. Same style as the previous books in the series with a lot of space fight action. So glad the Lost Fleet series is continuing. In this the second book of exploring the space on the other side of Syndic space brings us new species, problems, and political intrigue. Campbell does such a great job writing space battle scenes. The imagination to create new species, new worlds and customs and values always amazes me. I laughed when it was duct tape the wolf spiders wanted and a universal fixer. The ending of the book sets up for book 3 I can hardly wait. This series gives you a great escape into imagination and a bit of humor also. I feel good reading this series. Christian Rummel does a good job with the narration. Drama and Comedy in Space? Who can ask for more? 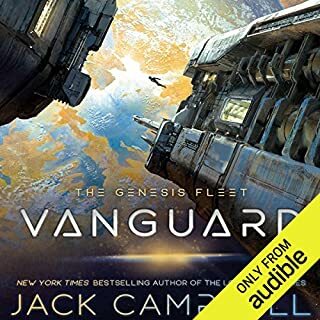 Would you listen to Invincible: The Lost Fleet: Beyond the Frontier, Book 2 again? Why? Defiantly, Jack Campbell has outdone himself with this book. Mixing comedy and suspense to make a joyous read. The funny one liners get me every time, and the twists that make a good book into a great book. Christian Rummel brings the story to life with memorable characters voices. It feels like I am watching a movie! "How will he get out this time?" I really enjoyed the book. This space adventure just keeps going. The latest book adds more than it closes and The Christan Rummel's narration is as always first class. . If i say anything about the story it may spoil it for people. All i will said is that these books are some of the best spent money i have used in sometime. I love The Lost Fleet-series! Good action-packed story, watertight technical details. Cant wait for the next one! This is an enjoyable story narrated by the excellent Christian Rummel. Geary and the first fleet continue their journey beyond the frontier learning more about the enigma race and encountering new alien races. If you liked the other books in this series you will like this one. I've given it four rather than five stars because the author can get quite repititive with things like how technology works - if I hear one more time how the meeting software works! I have read all the earlier books and enjoyed them. The introduction of the aliens at this stage gives new life to the series. Finally non human aliens! Great that the least likely ones are the good guys so far at least. Some days I wish my commute was longer! Possibly the best Lost Fleet book so far, and it's even getting a bit funny at times as well. The performance has also reached a new peak! More please! a nice continuation of the lost fleet series dealing with aliens and how they handle different ones. 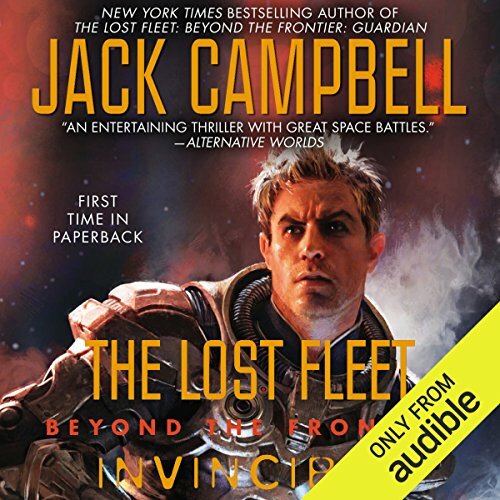 What made the experience of listening to Invincible: The Lost Fleet: Beyond the Frontier, Book 2 the most enjoyable? The realism, Peoples reactions, and the details that Jack Campbell manages to form into words. Couldn't stop listening to it, Always wanting to know what happens next. Ive listened to all of the First series and will need to do the same for this I think. Would you try another book written by Jack Campbell or narrated by Christian Rummel? I read the original book in paper back and have gone on to this listen to the newer book. I think the main resone I keep going with this Series is the cliff hager ending, they just keep sucking me in. These book would make a good film franchise, there a lot of eliments that would transfer well, the way the humans interacted with each other and other races for one.